Jocelyn Elise Crowley is a Professor of Public Policy, a member of the Graduate Faculty in the Department of Political Science, an Affiliated Faculty Member of the Department of Women’s and Gender Studies, and a Senior Faculty Fellow at the John J. Heldrich Center for Workforce Development at Rutgers, The State University of New Jersey. She is currently studying the impact of “gray divorce”—divorce at or after the age of 50—on the lives of men and women across the United States. Her book, Gray Divorce: What We Lose and Gain from Mid-Life Splits, was published by the University of California Press in 2018. Prior to this, the Alfred P. Sloan Foundation funded many of her research projects on mothers’ organizations in the United States, parenting challenges and public policy, and workplace flexibility. Her book, Mothers Unite! Organizing for Workplace Flexibility and the Transformation of Family Life, was published by Cornell University Press in 2013. 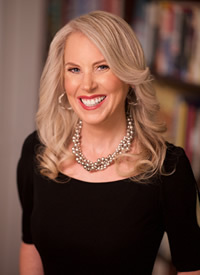 She has also written extensively on the topic of family law and public policy, including her books The Politics of Child Support in America (2003; Cambridge University Press) and Defiant Dads: Fathers’ Rights Activists in America (2008; Cornell University Press). In addition to contributing to edited volumes on international fathers’ rights movements and motherhood politics, she has published numerous articles in the American Journal of Political Science, Social Science Quarterly, Review of Religious Research, Health Education and Behavior, Legislative Studies Quarterly, Journal of Public Administration Research and Theory, Publius: The Journal of Federalism, Marriage and Family Review, Justice System Journal, Perspectives on Politics, Social Service Review, Journal of Contemporary Ethnography, Sociological Inquiry, Women’s Studies Quarterly, Social Forces, Sociological Spectrum, Family Relations, Eastern Economic Journal, The Sociological Quarterly, Journal of Family Issues, Survey Practice, Journal of Women & Aging, and Women’s Studies International Forum. During the 2005-2006 academic year, she was chosen to be a Visiting Scholar at the Russell Sage Foundation in New York City. She spent the 2006-2007 academic year at the Department of Politics, New York University and the Social Indicators Survey Center, Columbia University School of Social Work. In 2018, Crowley received the Leslie A. Whittington Excellence in Teaching Award from the Network of Schools of Public Policy, Affairs, and Administration (NASPAA), which represents over 300 public policy schools all over the country. In addition, Crowley was the 2018 recipient of the Warren I. Susman Award for Excellence in Teaching. The award is Rutgers University’s highest honor in recognition of outstanding service in stimulating and guiding the intellectual development of students at Rutgers University by a tenured faculty member. Dr. Crowley also received the 2018 Jerome Rose Excellence in Teaching Award presented by the Edward J. Bloustein School of Planning and Public Policy, Rutgers, The State University of New Jersey. 2018. Crowley, Jocelyn Elise. 2018. Gray Divorce: What We Lose and Gain from Mid-Life Splits. Oakland, CA: University of California Press. and Sexuality Studies, edited by Nancy Naples. Oxford: Wiley- Blackwell. 2018: Crowley, Jocelyn Elise. 2018. “Gray Divorce: Explaining Mid-life Marital Splits.” Journal of Women & Aging. 30 (5). 2018: Crowley, Jocelyn Elise. 2018. “Incomplete Role Exit and the Alimony Reform Movement.” Sociological Inquiry. 88(1): 32-55. 2017: Weiner, Marc D., Orin T. Puniello, Paul C. Siracusa, and Jocelyn Elise Crowley. 2017. “Recruiting Hard-to-Reach Populations: The Utility of Facebook for Recruiting Qualitative In-Depth Interviewees.” Survey Practice. 10(1): 1-13. 2015: Crowley, Jocelyn Elise. 2015. “Unpacking the Power of the Mommy Wars.” Sociological Inquiry. 85(2): 217-238. 2014: Combs, Kathryn L., Jocelyn Elise Crowley, and John A. Spry. 2014. “The Effect of New Jersey Lottery Promotions on Consumer Demand and State Profits.” Eastern Economic Journal. 40(3): 326-348. 2014: Crowley, Jocelyn Elise. 2014. “Staying at Home or Working for Pay? Attachment to Modern Mothering Identities.” Sociological Spectrum. 34(2): 114-135. 2014: Crowley, Jocelyn Elise and Stanislav Kolenikov. 2014. “Flexible Work Options and Mothers’ Perceptions of Career Harm.” The Sociological Quarterly. 55(1): 168-195. 2014: Crowley, Jocelyn Elise. 2013. “Perceiving and Responding to Maternal Workplace Discrimination.” Women’s Studies International Forum. 40: 192-202. Crowley, Jocelyn Elise. 2008. Defiant Dads: Fathers’ Rights Activists in America. Ithaca, NY: Cornell University Press. Crowley, Jocelyn Elise with Marc Weiner. 2010. “What Mothers Want: Workplace Flexibility in the Twenty-First Century.” Report to the Alfred P. Sloan Foundation, New York, New York.